Plant matter left over from sugar production could be turned into bioethanol with the help of cutting-edge Australian research. Not only could this present a possible alternative to petrol and relief from skyrocketing oil prices, it could also provide a solution to the food versus fuel supply challenge often blamed for contributing to the current world food crisis. Currently, sugarcane is crushed and turned into juice that can either be refined for sugar or fermented into ethanol. By using the remaining crushed vegetative material (bagasse) to produce ethanol, the juice could be used entirely for food production. 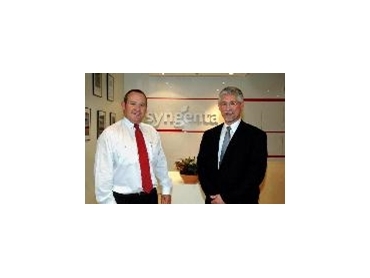 The Queensland University of Technology (QUT), Farmacule Bioindustries, the Queensland Government, Federal Government and Syngenta have collaboratively established the Syngenta Centre for Sugarcane Biofuels Development. Based at QUT in Brisbane and staffed by a team of experienced scientists, the Centre hopes to develop new varieties of sugarcane that express the enzymes needed to allow cost-effective fermentation of sugarcane bagasse into bioethanol. With a number of significant scientific challenges to solve in the coming years, the stakes are high – but so are the potential rewards. If just half of the bagasse currently produced in Australia could be converted into biofuel, it would replace up to five percent of Australia’s petrol requirements. The global impact could be enormous. Other major sugar producing countries such as Brazil, India and the USA could also introduce the technology if the Australian research is successful. Syngenta Sugarcane Research Group Leader, Dr Manuel Sainz, said such an outcome would significantly reduce the world’s reliance on petroleum-based fuels. “The world is at a turning point. The days of cheap oil are over. Oil prices have reached more than US $130 per barrel and there is no indication we will ever see $60 per barrel oil again. “Oil production is at or near its peak and much of the world’s production is based in politically unstable countries. “Oil companies are well aware of these limitations and that’s why they are investing heavily in alternative energy sources. “Biofuels fit the world’s liquid transport fuel requirements so have a unique advantage over alternatives such as wind, coal and nuclear energy,” Dr Manuel Sainz said. “Global biofuel production has increased from 18.2 billion litres to 60.5 billion litres over the past seven years. “The vast majority of this is bioethanol, just one factor contributing to the large increase in demand for agricultural commodities,” he said. Ethanol produced from vegetative plant material is known as cellulosic bioethanol and according to Dr Manuel Sainz; it is the next step in the evolution of biofuels. Not all biofuels, however, are equal in terms of their efficiency or potential for reducing carbon emissions. “Cellulosic ethanol has two major advantages. Firstly, there is a large potential source of raw material throughout the world and it does not pose any competition for food,” Dr Manuel Sainz said. “Secondly, from a greenhouse gas perspective, it is nearly as efficient as sugar cane ethanol and significantly more efficient than corn ethanol. “On a regional basis, it will provide more jobs for local economies, whereas on a national level, it can provide enhanced energy independence. “If successful, the cellulosic ethanol research will also play an important role in channelling agricultural commodities towards food instead of fuel. “In addition, growers can meet increasing demand and make money at the same time via the adoption of this new technology – and that is good news for Australian farmers,” Dr Manuel Sainz said.